Doctor Who season 10 finally has a premiere date and will be coming back this April, which is definitely exciting for fans of the show who have been impatiently awaiting some new adventures with the Doctor. What is perhaps unfortunate, depending on how you feel about him as the Doctor, is that Peter Capaldi has officially announced that season 10 will be his last on the show. So, Doctor Who Season 11 will feature a new Doctor, and we now have a frontrunner in the form of James Bond actor Ben Whishaw. Entertainment Weekly is reporting that British bookmakers William Hill are giving the 36-year-old Skyfall and Spectre star 6-1 odds to become the next Doctor. Ben Whishaw, aside from playing Q in the last two James Bond movies, is also known for providing the voice to Paddington the bear in the 2014 movie, as well as the upcoming sequel. He has also starred in other critically acclaimed movies like The Danish Girl and The Lobster. Interestingly enough, the current Doctor Peter Capaldi actually starred in Paddington with Ben Whishaw. William Hill also provided odds on some other actors to take over the role of the Doctor in Doctor Who season 11. Comic actor Richard Ayoade, Rory Kinnear, another James Bond franchise veteran, and Harry Potter alum Rupert Grint are all going off at 8-1 odds. The firm also is providing 6-1 odds that the next Doctor will actually be played by a woman, which would be the first time that has ever happened in the history of Doctor Who. They provided 20-1 odds on both Olivia Colman and Billie Piper. It is well worth noting that Billie Piper played the Doctor's companion when Doctor Who first returned in 2005. Long time Showrunner Steven Moffat will be leaving Doctor Who after the upcoming season and Broadchurch showrunner Chris Chibnall will be taking the reigns for Doctor Who Season 11. It seems like they will be going in an entirely new direction after season 10, with a new showrunner and new Doctor. It isn't clear yet if there will be a new companion, which would pretty much make it a totally clean slate, should that wind up happening as well. If they do wind up bringing in Billie Piper as the Doctor, the show could totally flip the script and bring in a male companion with a female Doctor, which would be something totally new. Peter Capaldi is the 12th Doctor in the history of the long-running BBC series and will be concluding his run after three seasons. That is a decent run, but it is a far cry from Tom Baker, who was the 5th Doctor and played the character in 172 episodes starting in 1975. 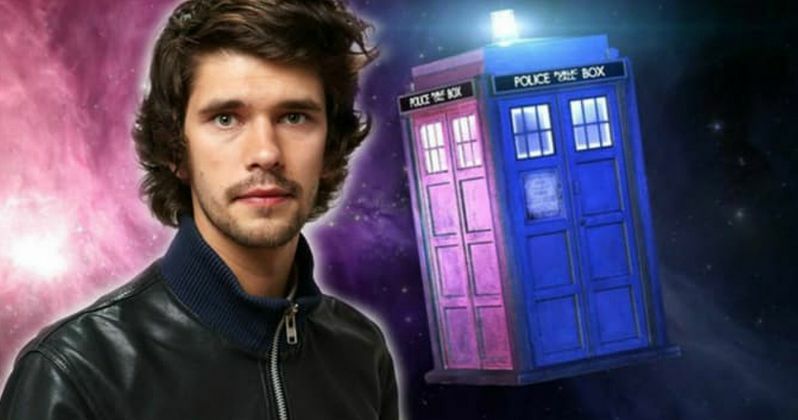 There is no rush to announce his replacement, since we still have all of Doctor Who season 10 to get through, but don't be surprised if we found out in the next few months that Ben Whishaw will be the next actor to man the Tardis. Or if we find out that a woman makes history and winds up with the job. Following this past December's Doctor Who Christmas Special, Doctor Who season 10, which will consist of 12 episodes, is set to premiere on BBC April 15.